As a UX Designer it’s so important to stay on top of things. Both the market as the required skills are continuously changing. And whether you’re a newbie or a veteran, there is always room for improvement. But have you ever given thought to an online UX course? Since there is an abundance of online learning platforms out there, I thought of creating a list for you. All these platforms offer UX courses. Topics are visual design, information architecture, interaction design, usability, accessibility, research methods or any other related field of UX. Learn how to design for native applications, to use tools such as Sketch and Figma or learn the art of usability testing. Find out the latest trends in augmented and virtual reality, how you should incorporate the User Centered Design principles within your company’s structure and how to go about with responsive design. If you want to learn something, I’m sure you will find the perfect UX course on one of those 14 platforms. With over 23.000 courses, Skillshare is not a small player. To find the perfect UX Design course for you, I would recommend to signup, which is free of charge. When doing so, Skillshare will try and match your interests with their courses and suggests the best ones. Or you can simply browse through all the material. The courses are in a video format and are divided into several shorter sections. The project info clearly explains what you will learn and the course comes with all the necessary project files and additional resources. When you are stuck, you can ask the community or the teacher for help. Price: The first month is free. After that it’s $8.25 per month (paid yearly). IDF uses a stepwise learning approach to maximize the motivation, as well as your chances of completing the courses. That’s why you’ll get access to one lesson each week, which is considered as the the right amount of learning. 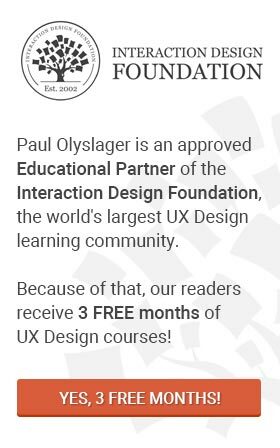 Interaction Design Foundation also issues out a UX Course Certificate, which is being well-received within the UX industry. Price: You can already subscribe for $8 per month for students, $13 for the professional membership! Either way, an absolute bargain! CareerFoundry should be seen as an online school, rather than an online learning platform. CareerFoundry’s target audience are grad students who would like to learn tools and practices that professionals use in their daily work. With daily check-ins and the mentoring help of industry experts (1-on-1), CareerFoundry believes to have found the recipe for success. Price: After you pay a first installment of $1499 to secure your place on the UX course, CareerFoundry charges $550 per month for 10 months. With an impressive library of over 80.000 courses, Udemy is probably the biggest online learning platform on this list. Around 170 of those courses are related to the field of User Experience. UX Design, User Interface, Mobile App Design, Design Thinking, Usability testing, Information Architecture, Prototyping, Axure RP and gamification to name a few of them. Each course comes with hours of on-demand video (cc in different languages), downloadable resources, full lifetime access, access on mobile and tv and a certificate of completion. Price: Varies from $11.99 till $199.99, depending on the course you’d like to take. They do have special offers from time to time (even for the best sellers), so check them out regularly. Lynda.com is maybe one of the most popular online platform, offering over 3.000 courses in 5 languages. They currently have 255 UX courses online, going from UX tools (e.g. Adobe XD, Sketch, Figma, Zeplin, etc.) to the principles of Design Thinking, UX Research methods, accessibility, content strategy, Information Architecture, Interaction Design, designing for native apps and so much more. Lynda.com’s strengths are the the well-trained instructors. These industry professionals explain everything through video in a good pace and all exercise material can be downloaded. Learn at your own pace. Price: The first month is completely free of charge. After this trial period, basic subscription starts at $24.99 a month (paid yearly). For that, you get access to their entire collection, not just the UX courses. Every course on Coursera is taught by instructors from universities (eg. Yale, Johns Hopkins, Michigan and Stanford), other educational institutions and top companies (eg. Google). Unfortunately the amount of UX courses is rather limited, with 17 courses in English and 6 in Portuguese. Courses include recorded video lectures, auto-graded and peer-reviewed assignments, and community discussion forums. After completing a course, you will receive a sharable, digital certificate. Price: Courses are priced at about $29 to $99. Springboard has created a UX course, designed by UX Experts from Adobe, Cooper and Razorfish. In this self-paced online course, you will learn the fundamentals of UX, work on real-life projects and work with your own expert mentor (a weekly call for technical and career guidance). Springboard makes themselves strong that the course will prepare you in applying for entry-level jobs in UX Design. Some of the topics you will tackle: An introduction to UX, UCD & Design Thinking, User Research & Personas, Usability Analysis, Sketching, Wireframing, Prototyping and content strategy to name a few. On top of that, for the entire duration of the course, you will get free access to Lynda.com’s entire library. Springboard provides certificates of completion to all students who complete the course and the final project. Price: Springboard charges $499 per month, but you should be able to complete the course in 2 to 4 months. UXtraining provides user experience and design thinking training, targeting people who are new to UX. UXTraining offers 3 types of training: classroom training (across Europe and North America), online training (Certified UX Professional) and in-house training. They are a firm believer of learn-by-doing, meaning that you’ll be working in teams, getting hands-on practical experience when doing the classroom training. It’s a two-day program that follows the lifecycle of a UX project, including the theory, the research, analysis, design and prototyping. 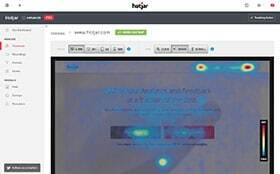 The online training is broken into bite-sized videos and graphics. You’ll also need to complete several practice projects designed to build your skills, confidence and experience in the core UX techniques. The course includes mentoring, webinars and support and will take about 6 months to complete. Price: The two days of workshop costs €945. For the complete online training, they charge €1950. FutureLearn offers a diverse selection of courses from leading universities and cultural institutions from around the world. Unfortunately though, it only has one UX course available, titled “Digital Skills: User Experience”. You will learn about why user experience (UX) is important, the research and design basics, and the tools and testing techniques used in UX. Price: This course is completely free of charge. If you want you can upgrade your course to get additional benefits, like the ability to qualify for a certificate. OpenClassRooms has around 120 courses available on their platform. 25 of those are related to UX. OpenClassRooms’ courses are made up of one or more sections and contain two types of exercises: quizes and assignments (peer-to-peer evaluation). Most of the courses are accommodated with video and will get you a certificate after completion. On top of that, you’ll receive mentoring and support from a private teacher via videoconference. The teacher will set your training objectives, establish a progress schedule and answer any question you might have. Price: It’s free to sign up but you’ll only have access to a limited amount of video’s and lessons per week. Only when you signup for a paid subscription will you receive a certificate or additional help from private teachers. Premium Solo starts at $20 per month and premium Plus at $300 per month. Treehouse’s speciality is technological education, with about 300 courses and 270 workshops in their repertoire. About 20 of those are related to User Experience. To give you some idea on the topics: Design Foundations, Usability Testing, Mobile App Design for iOS, Design Thinking, Prototyping with Figma, UX Design Patterns and Creating User Experiences. Price: All plans have a free trial period of 7 days. After that, the Basic Plan comes at $25 and the Pro Plan at $49. HackDesign is not so much a learning platform itself. Instead it asked some of the world’s best designers to curate the best and most useful blogs, books, videos and tutorials that helped them learn critical elements of design. All those resources are organised into digestible and iterative lessons plan. Augmented and virtual reality, design system fundamentals, design research, design sprints, mobile apps, A/B testing and prototyping are just a few of the many topics. Price: Completely free of use. So why a UX course online? E-learning is a great way to teach yourself something new. It’s self-paced, you get lot’s of study material and feedback from either the platform community, a dedicated mentor or both. Prices vary from just a few dollars for a monthly subscription to more expensive university degrees that take up several months to complete. Did I miss a UX course? Let us know!